Established in 2003, Springhill have successfully installed hundreds of systems on rural private water supplies throughout the UK. "We believe the quality of our customers' water and continuity of supply is paramount . . . installing and servicing equipment that meets the standards required by the private water supply regulations without adding chemicals - we preserve the water's natural taste and healthy minerals". Working alongside consultants, designers, building managers, contractors, environmental health officers and end users we offer a complete range of private water supply services. Installation, upgrades, servicing and maintenance plus nationwide sales of water treatment equipment. Springhill's team of in-house engineers have the skills and experience to install systems and equipment tailored to your exact needs and at realistic prices - with the minimum of fuss. Ultra Violet Disinfection uses UV light to give you water that is natural and safe. UV is the method of choice for protecting the majority of private water supplies from microbiological contamination in the United Kingdom. Normally, installed at the point where the water enters the property, UV kills bacteria (E.coli, Coliforms etc.) mould, algae and virus contamination without adding chemicals – preserving the water’s natural taste and healthy minerals. It is recommended that all UV disinfectors are installed with a pre-filter. This pre-filter removes the larger particulate from the water, preventing the effect called “shadowing” whereby bacteria can pass through the water in the “shadow” of small debris. The size of filter is dependent on the water flow and quality of the water. Water from a spring supply is often acidic (less than pH 7) which means it can cause pin-holing of copper pipe and hot water cylinders. This often leads to copper leaching into the water causing discoloration (blue tinge / staining) of sanitary ware and light coloured hair. Problems relating to low pH are easily resolved by installing a pH corrector. A pH corrector works by slightly increasing the calcium and magnesium content of the water, however it does not alter the water’s natural taste or take away healthy minerals. IRON FILTRATION SPECIALISTS: Borehole water often contains high concentrations of minerals such as iron and manganese. Even where these mineral concentrations are low, they cannot be ignored. The presence of iron alone or in combination with other contaminants such as manganese often leads to staining problems (to appliances and laundry) and can give the water an unpleasant, metallic taste. In some cases, water that contains high concentrations of iron and manganese can also contain hydrogen sulphide which means the water can taste foul (rotten eggs). Installing iron filtration will resolve the problems associated with these contaminants immediately. The Springhill Iron Master iron filtration range is ideal for use on a single domestic supply or on a small commercial supply. Larger bespoke systems are also available – contact us for details. Guaranteed Results – The Iron Master is guaranteed to ensure your water meets the UK and European standards for iron, manganese and hydrogen sulphide. We provide full installation instructions and telephone support for our range of iron filters. Unique Service – Our unique ‘quick valve exchange’ system means that iron filter servicing costs are significantly lower than for alternative iron filter systems. Tried and Tested Technology – 15 years of research and development means we can guarantee the performance of the Iron Master. Booster pumps are used to improve the pressure on many non-mains supplies. Correctly sized, a booster pump provides an excellent flow of water at a pressure equivalent to that supplied by the mains. Each unit is pre-wired and includes a pressure gauge, non return valve and a pressure vessel. Springhill stock, supply, install, service and repair hundreds of different pumps from many different manufacturers. If water pressure is an issue – Springhill can supply booster pumps suitable for a small house to an entire village! We stock an extensive range of borehole pumps that are capable of providing an excellent flow of water at a pressure equivalent to that provided by a mains supply. 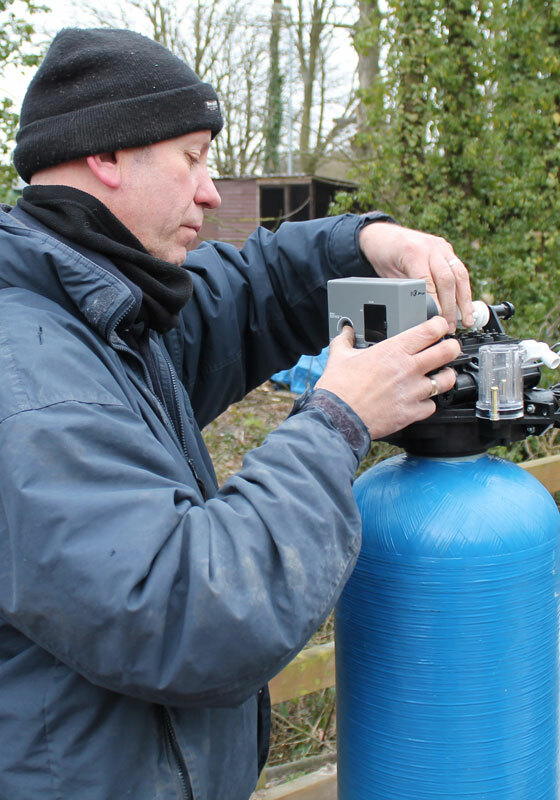 If you already have a borehole pump installed, our engineers are fully trained to lift the pump and replace it with a new one. In some cases, borehole pumps can be repaired, in which case we provide a lift and repair service. Many new boreholes are drilled each year. A new borehole might be required as part of a barn conversion project or where an existing spring or stream supply has run dry or the yield is greatly reduced. In some cases boreholes are drilled to save money. For example, 1,000 litres of mains water costs approximately £1. A borehole can yield up to 20,000 litres of water a day without the need for a licence. In this example, a farm or commercial enterprise could save up to £20 a day (£7,000 a year). At this rate of water usage, the borehole would pay for itself in a few years. You should be aware that potential buyers are alerted to the dangers of drinking unfiltered water during property searches which may have a negative effect when selling. WATER TESTING: As part of this visit to your private water supply we can carry out a basic water test free of charge (advanced tests available) if required / deemed necessary. Springhill offer a full installation and maintenance service in most parts of Northern England, particularly within the areas of Calderdale & Kirkless, East Lancashire, Derbyshire, Yorkshire Dales & North Yorkshire Moors, Cumbria (Lake District), Northumberland & the North of England. We also sell products on a supply only basis to all areas of the UK. Along with hundreds of farms & domestic dwellings, the Springhill portfolio boasts many commercial properties including country estates, villages, dairies, breweries, caravan parks, colleges, schools & large commercial buildings. In the event of a water related emergency we guarantee a same day response. We service any make or model of equipment including: Aquacure, Liff, Culligan, Shakesby, Hanovia, Dab, Wedeco, Cleanstream, Marshalls, Grundfos . . . and many more. Even if you believe you have built up an immunity to some of the bacteria in the water, other people visiting your property may be at risk, especially those under 10-years old, the aged or people who do not have good health. Your borehole or spring supply (private water supply) may provide water that looks good and tastes good – but it probably contains impurities that can be harmful to health or damaging to expensive equipment or fixtures and fittings.